Our May seminar is coming two weeks from today. For those on Florida's Treasure Coast, we hope to see you there. All the details are below in the left column! Have an awesome weekend. If you're having great weather like we are here in Florida, turn off the computer and go outside and enjoy! 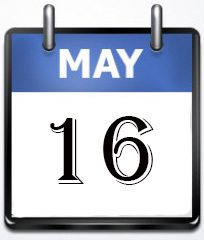 Saturday, May 16, 2015. In this seminar, we're going to look at various calendars and how you can use them on your computer, tablet and smart phone. Our seminars are still only $8 per person and we'll have lots of "goodies" to go along with your coffee or juice. Also, we'll have some prizes to give away for those who stay until the end. Our seminar this month is entitled "229 To Go." Question: "I heard that there's a new browser in Windows 10 and that many are hoping it's a cross-platform browser. Is this true and what does 'cross-platform' mean?" As for the cross-platform portion of our customer's question, that's a complicated answer but we'll give you the bottom line: a piece of software which will work on different Operating Systems (OSs) is a cross-platform application. (An example would be the Google Chrome browser - it works on various OSs.) Microsoft has already announced that Edge will work on iOS and Android along with Windows so that makes it a cross-platform application. Thanks to our customer for this week's question. If you have a question you'd like to see here, please email the question to us at question@4kcc.com. We will have two webinars in May. Look for the announcement soon in our blog and in our next Question of the Week email.